In France, posturography is not a new technique. Dr BARON (ENT and Ophthalmologist) is the most renowned expert in this field. His disciple, P-M GAGEY has continued to vigorously and competently promote this discipline, with perseverance. It is a static posturography, in other words, on stable, normalised platforms. In the vestibular field, therefore primarily mobile and dynamic in nature, this type of equipment is unsuitable. Static posturography in fact deals with the exploration of postural pains in order to correct them. 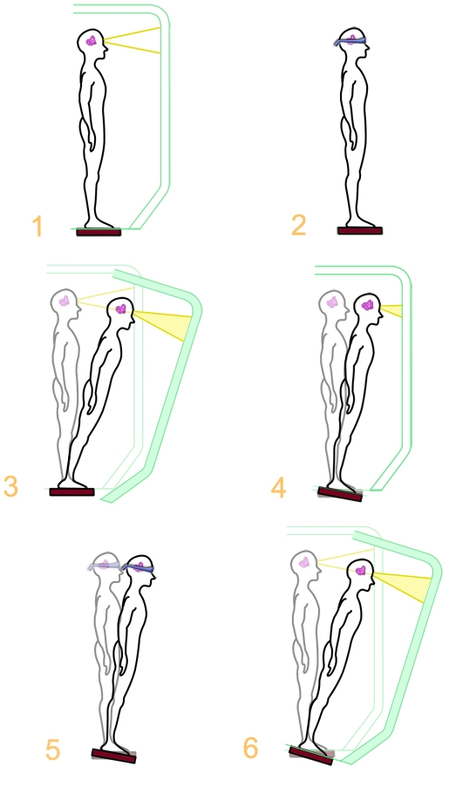 In the US, and MIT student, Lew NASHNER, having visited the laboratory of Alain Berthoz, built a computerised dynamic posturographic platform called the EQUITEST®. It is important to differentiate between a dynamic posturographic machine and a static posturography platform, made mobile by a system such as a treadmill. The latter is a static platform mounted atop a mechanical system that gives it mobility in all directions. In other words, free movement. This freedom of movement generates a great deal of noise and it becomes difficult to distinguish between an extrapyramidal syndrome, an elderly subject with a fear of falling and a subject with a vestibular disorder. 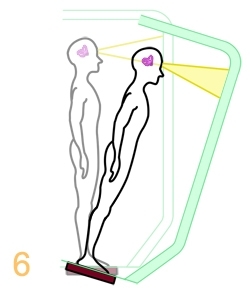 The dynamic posturographic platform is subject to the movements of the patient. This makes all the difference. In fact, this subservience means that if the subject does not move, the platform does not move. Conversely, if the subject moves their centre of mass 8° at a speed of 20°/s, the platform will perfectly mirror the same parameters. This machine is used to test the neurosensory organisation of a patient. In other words, the machine will determine how the subject uses the three equilibration function inputs to maintain equilibrium. The computerisation of the curves will enable us to discover if the subject is capable of choosing the most suitable input for each situation should there be any conflict. This wonderful test machine, complementary to other research means, and able to measure inputs separately should also be able to be of use in reeducation. L. NASHNER was kind enough, and at our request, to develop a machine that is able to serve both research and reeducation purposes, based on the parameters described below.